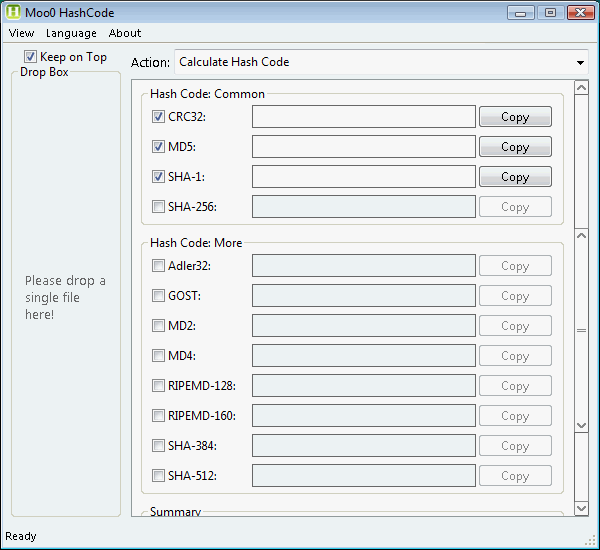 Moo0 Hash Code lets you easily calculate / verify so called "hash code" you sometimes see. It is easy to use, and you just need to select the hash code type and drop the file onto the program window. It currently supports 12 kinds of hash format. Serbian (Cyrillic) support was made possible by Ozzii. Thanks really a lot! !